This beautiful, recently refitted yacht is a design with the perfect combination of traditional and modern, boasting the highest levels of luxury and comfort. She combines the best of a motor and sailing yacht with large volumes, impressive deck spaces and exceptional sailing capabilities. She can welcome four guests on board with two luxurious guest cabins including a large Master and a double. Charter guests will be able to relax and be looked after to the highest standards by her passionate and experienced crew of three. Prince de Neufchatel is the perfect choice for anyone looking for a one-of-a-kind vessel to charter and explore the incomparable Greek coastline. The yacht’s interior is timeless, sophisticated and welcoming, featuring traditional varnished wood throughout. Guests can either relax in the main guest lounge or retreat to the cockpit or exterior deck to sunbathe, enjoy life under sail, or sample a private candlelit dinners under the stars. 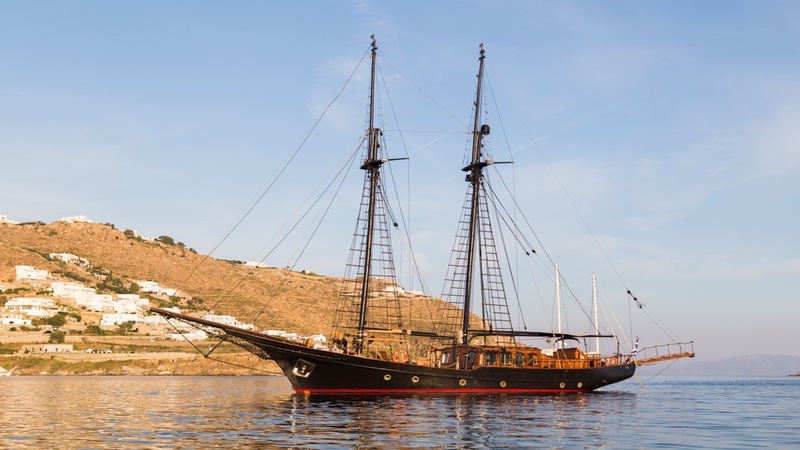 The IYC Greece team will be able to help charter clients plan the perfect charter, with Prince de Neufchatel ideally suited to a whole range of events, from birthday parties to honeymoons, family adventures and anniversaries. She can accommodate up to 30 people on board while sailing and up to 40 people for event charters while berthed. Able to sail or motor, Prince de Neufchatel cruises at 11 knots and is exceptionally fuel efficient. She carries a 6m tender, able to carry 12 passengers and perfect for exploring the Greek islands, private beaches and snorkeling in the clear blue Greek waters. On board equipment includes water skis, towables and a full set of snorkeling equipment.